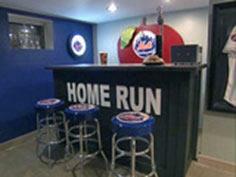 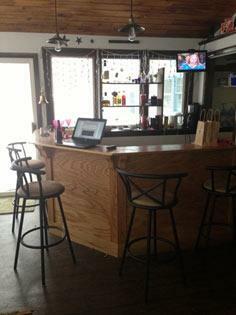 If you and your family love to entertain, a bar is the perfect add-on for your family room, den, patio or deck. 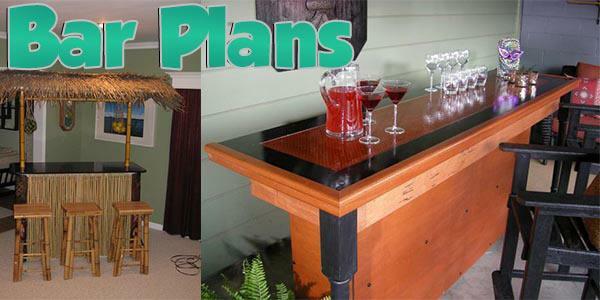 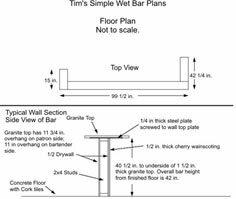 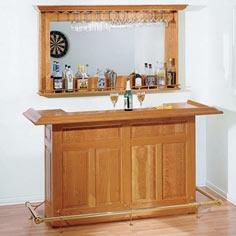 Your DIY bar can be simple and perfect for a beginning woodworker or a fine piece of furniture that's the focal point of your family room. 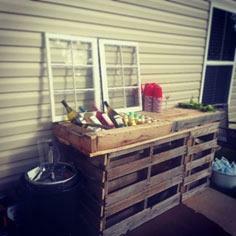 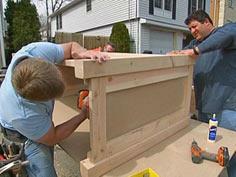 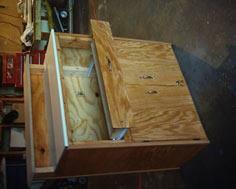 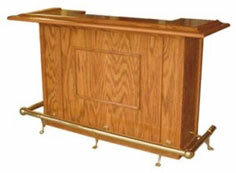 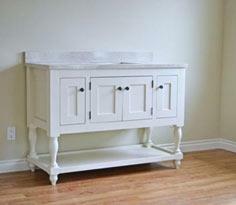 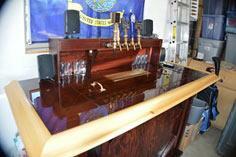 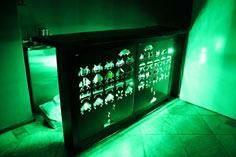 Repurposing a sideboard, dresser or even used pallets is a great way to create a custom bar. 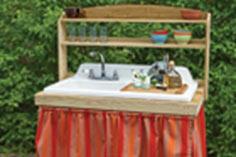 You can also start with common lumber and plywood, include space for an under counter refrigerator and top it off with a stock counter. 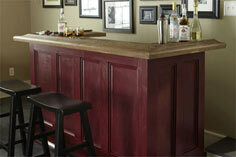 Your choice for wood type and finishes is unlimited. 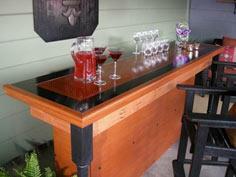 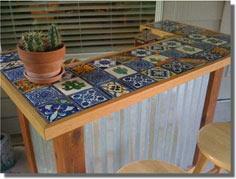 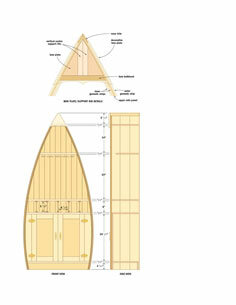 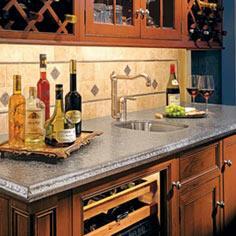 An outdoor bar should be made with exterior materials and can be built in or portable. 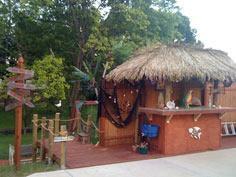 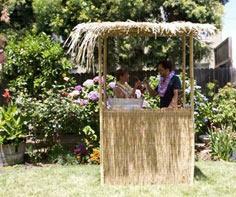 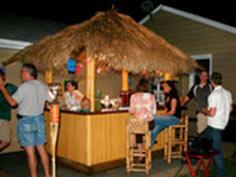 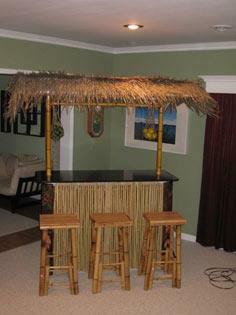 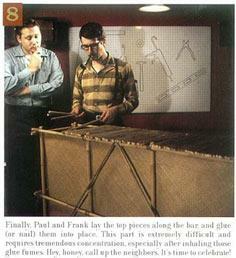 A Tiki bar is a fun, whimsical theme. 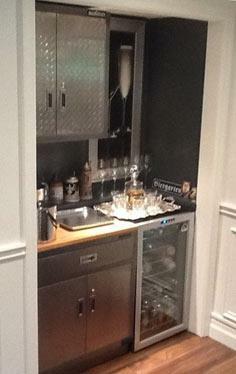 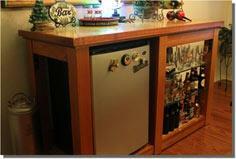 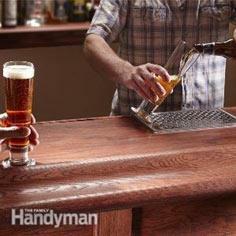 A great space saver is to convert a closet to act as a bar, and a PVC framed bar makes construction quick and easy.